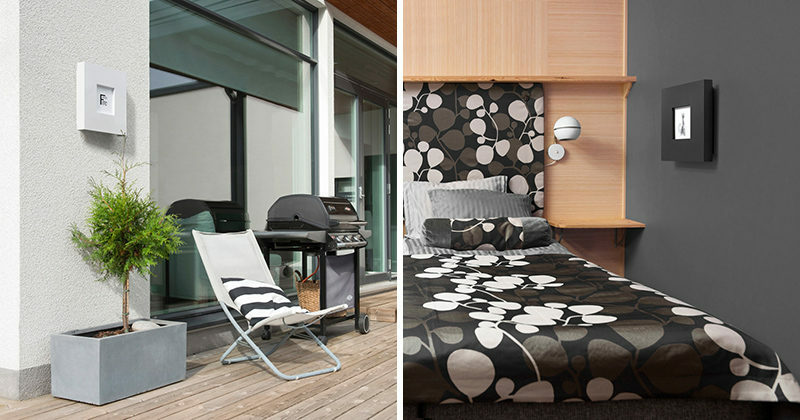 We all know how important fire safety is for the home and your workplace, and ideally you want to have fire protection easily within reach for when a fire does happen. 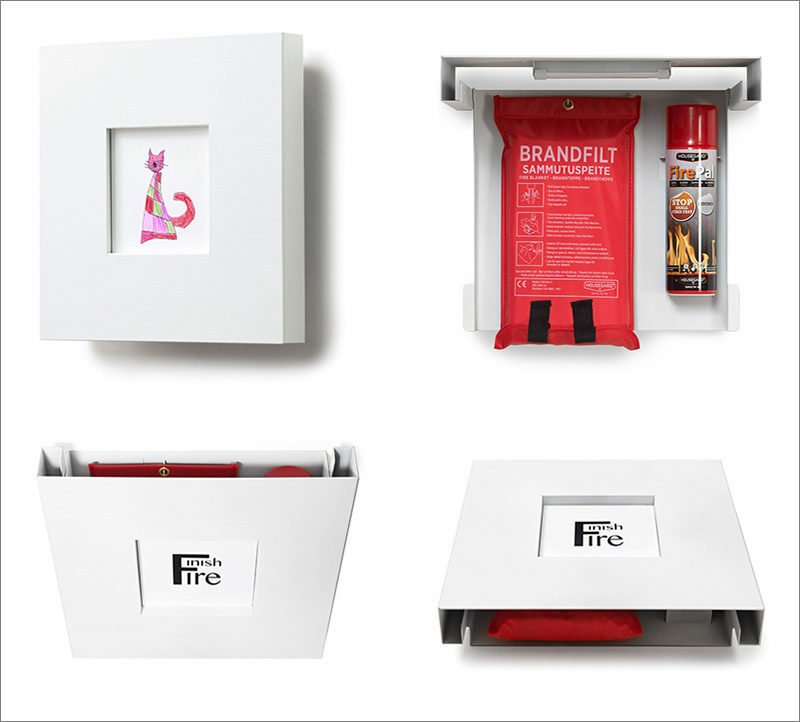 To make this possible in a minimally intrusive way, Finishfire has designed a simple artwork frame that houses a small extinguisher and a fire blanket. 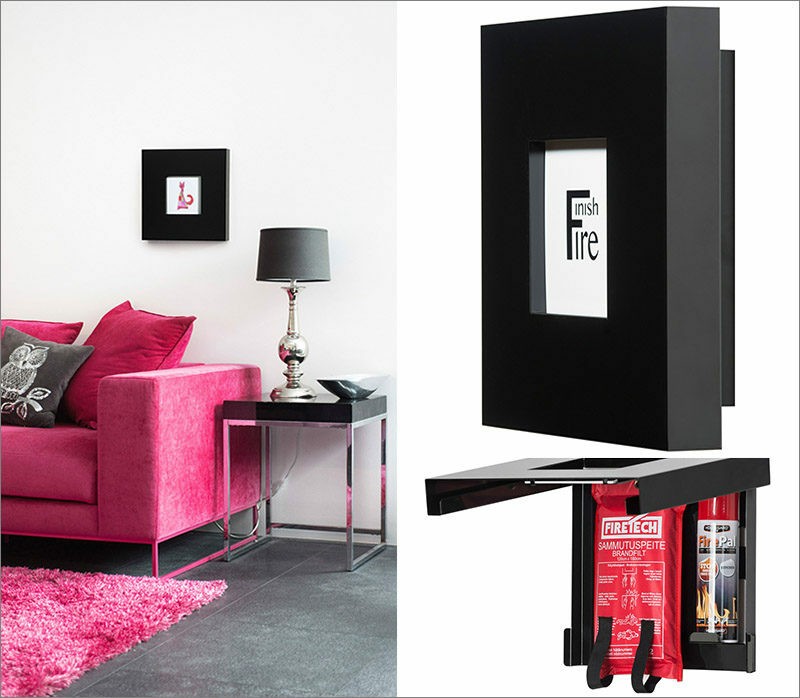 The frame has been designed to allow you to put your own small piece of artwork in the frame, and at the same time, it can be easily flipped up to reveal the extinguisher and blanket when needed. The only important thing to remember is to tell people that’s where you keep your fire safety equipment. Here’s a short video that shows how it is used.